Dry Creek Chef's New Healdsburg Restaurant, Winter Closures Announced, Palmer's New Venture, and Meat Pies! 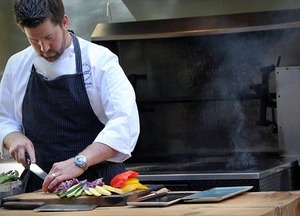 Chef Dustin Valette of Dry Creek Kitchen will soon open his own restaurant in Healdsburg. Photo courtesy of Heather Irwin. Calistoga’s Solbar restaurant will close for renovations later this winter. Photo courtesy of Solbar. Charlie Palmer has announced plans to rehab St. Helena’s Harvest Inn, adding a new restaurant, Harvest Table. Photo courtesy charliepalmer.com. 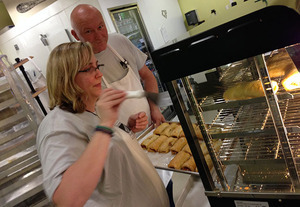 BurtoNZ Bakery opens in Windsor, serving up authentic New Zealand meat pies and other goodies. Photo courtesy of Heather Irwin. Ramen Gaijin will soon have a permanent home at Forchetta in Sebastopol. Photo courtesy of Heather Irwin. 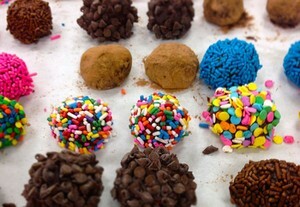 Truffles from the BiteClub Holiday Cookie Contest. Recipes online. Photo Heather Irwin. New details on Dry Creek Kitchen chef Dustin Valette’s yet-unnamed restaurant in Healdsburg. Turns out it’s a bro-fest, as Valette is partnering with his brother, Aaron Garzini, a front-of-house vet who has done stints at John Ash and Co., SF’s ~BETELNUT~, and Francis Ford Coppola’s Rustic. “We dreamed about this when were were little kids playing in the yard,” said Valette (the two are half brothers). The boys grew up in the Sonoma County restaurant business and will be paying homage to many of their favorite local farmers, winemakers, and grape growers. The restaurant will be full of thoughtful details, such as furniture that will be hand hewn from a 750-year-old redwood stump. “I bumped into that stump recently and memories came flooding back,” said Valette, of the tree that was milled by his father. “Everything in the restaurant will have a story,” said Valette, including the menu. Look for a parade of Sonoma County’s bounty, with a tasting menu, fresh pastas, local meats, housemade charcuterie, bespoke cheeses from a local cheesemaker, and of course, Valette’s signature scallops en croûte. The vibe will be upscale casual, with entrées in the $20-$30 range, and no white tablecloths. There will be an extensive wine list and a cocktail program. The brothers say they’re hoping for a late February 2015 opening. Of course, there’s always another story behind every restaurant opening and closing. For months, news that Valette was looking for a space of his own after six years with Charlie Palmer was one of the worst kept secrets in Healdsburg. Most bets were that Valette would take on the Bistro Ralph space, which was quietly for sale, so it came as a surprise when Zin’s Jeff and Susan Mall abruptly announced their closing. No one is speaking publicly about the reason behind the couple’s departure, but suffice it to say, the restaurant will be much missed and there’s plenty of push for the Malls to continue cooking for the community. “The spirit of Zin will live on with…Valette,” said the couple. Zin’s last day will be December 30th, 2014. Bistro 100 Coming to Petaluma: Local chef Garrett Adair is planning a new restaurant in downtown Petaluma, slated to open in early 2015. The focus of ~BISTRO 100~ will be on ingredients, beer, and wine that are all sourced within 100 miles of the restaurant—hence the name. The restaurant will be opening in the former Blu space in Theatre Square. More news as it develops. Shop Tawk: ~ROSSO PIZZERIA AND WINE BAR~ has hired a new wine director, Paul McBratney. Cheers! 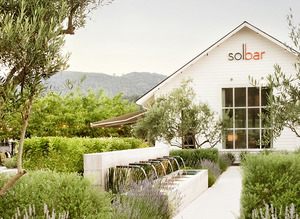 Announcing some winter closures: ~SOLAGE’S SOLBAR~ in Calistoga will shutter for a revamp in January, and the ~FRENCH LAUNDRY~ in Yountville will also be closing to start a massive renovation in the end of December, according to sources. Look for it to be closed for many months into 2015, we’ll keep you posted on the project. There’s buzz about another high-profile Napa restaurant undergoing some major changes in early 2015, but so far no confirmation. ~FISH STORY~ in downtown Napa is on “winter hiatus,” meaning it’s closed, at least temporarily. Part of the Lark Creek Restaurant Group, officials say there will be a new concept in the space come spring, but for now, the lights are out. Finally, news has just broken that Charlie Palmer (Dry Creek Kitchen) will be rehabbing St. Helena’s Harvest Inn (which he purchased last winter) to make way for a new restaurant in his ever-growing hospitality empire: ~HARVEST TABLE~. The 110-seat restaurant will showcase (you guessed it) ingredients sourced from the surrounding area and the property’s own culinary gardens. There will also be a Napa-centric wine list, housemade tinctures and syrups for seasonal cocktails, and Northern Californian brews and ales. We’re digging the inn’s new culinary horticulturist, Laura McNiff, who will be the green thumb shepherding various herbs, berries, greens, and fruit from garden to table. Look for a 2015 opening. BurtoNZ Bakery Opens: Meat pies for everyone! I’m a sucker for all things Kiwi (i.e., from New Zealand). So short of a rugby team showing up in my living room, the opening of a proper New Zealand-style bakery in Windsor is cause for celebration. Seems about 400 other people had the same reaction on the opening day of ~BURTONZ BAKERY~, overwhelming the couple, and pretty much clearing out the bakery case by noon. Owned by native New Zealander and master baker Warren Burton and his wife, Bobbi, the newly minted bakery is a labor of love for the couple, who raised nearly $40,000 on Kickstarter for their new business. The bakery offers authentic meat pies—flaky-crusted mini pies with steak and potatoes, cheese and mushrooms, or bacon and eggs—along with sausage rolls and Wattie’s sauce (a sort of spiced ketchup), custard pies, breads, and other traditional baked goods. 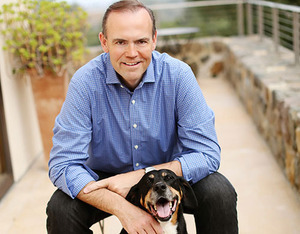 Burton’s effusive Down Under personality, longtime ties to the wine industry, and, let’s be honest, killer breads and pastries have made him a familiar figure in the Alexander Valley. As he loads baguettes into an oven that costs twice what I paid for a new car, Burton chats with customers, friends, and me, neglecting to slice steam vents into several loaves. As they come out of the oven a few minutes later, he tosses one of the imperfect loaves at me. “See what you made me do?” he chuckles. “Now you have to eat it!” Usually open from 5am-5pm, but call ahead to make sure. 9076 Brooks Road South (near the Safeway), Windsor, 707-687-5455. 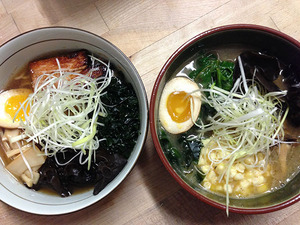 The wildly successful ramen pop-up ~RAMEN GAIJIN~ gets a permanent home at the former Forchetta in Sebastopol starting later this month (we hope).The noodle fest is slated to be open four days a week (Wednesday through Saturday) for lunch and dinner. The rotating menu, according to co-founding chef Matthew Williams, will include ramen, Japanese donburi, sashimi, okonomiyaki, and yakitori made with plenty of SoCo produce and meats. Stay tuned for opening dates. P.S. Asian fusion restaurant Bastoni will still be operating in the space. 6948 Sebastopol Ave., Sebastopol. Want a cookie? The results of the BiteClubEats Holiday Cookie Contest are online.